In a food processor, pulse the corn until a thick, coarse puree forms. Add the masa, egg yolks, salt, sugar, black pepper and cayenne and pulse until well combined. Scrape the cachapa batter into a bowl. Sprinkle each cachapa with 2 tablespoons of the mozzarella and 1 tablespoon of the queso fresco, cover and cook until the cheese is melted, about 3 minutes. Top each cachapa with a few jalapeño slices and 1 tablespoon of cilantro, then carefully fold them in half and transfer to a platter. Keep warm. Wipe out the skillet and repeat to make 3 more cachapas. 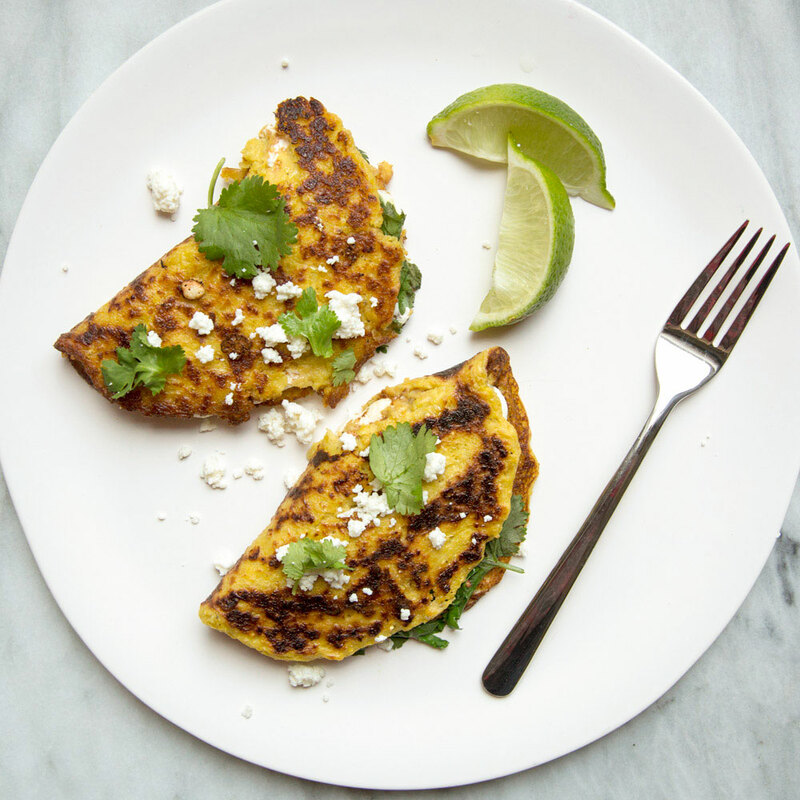 Sprinkle the cachapas with the remaining 6 tablespoons of queso fresco and 2 tablespoons of cilantro and serve with lime wedges. Masa harina is a soft flour made from finely ground dried corn kernels. It can be found in the ethnic food aisle of most grocery stores.